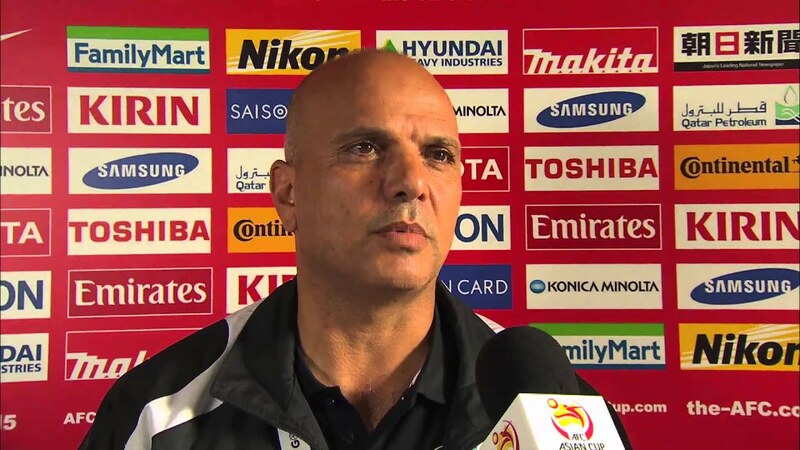 This entry is the first part of a three section entry assessing Palestine's performance at the 2015 AFC Asian Cup. In this section we will look at how Palestine could have prepared better for their maiden continental participation. It all seemed so promising. On June 1, 2014 Palestine returned home conquering champions. The man who led them to glory, Jamal Mahmoud, promised to stay despite his initial desire to resign his post. FA President Jibril Rajoub promised to spare no expense in preparing the team- promising 10-12 prepatory matches and a summer training camp in Germany with an eye towards recruiting foreign born Palestinians. The summer came and went with little activity on the part of the PFA. Palestine agreed to participate in the Peace Cup in the Philippines but neglected to do anything to put together a side. Just before the tournament's start the PFA hurridely sent Jamal Mahmoud and 12 players to the archipelago. The situation was so dire that Abdullah Jaber was pulled from the Olympic Side to provide essential cover. With little more than a single rudimentary training under their belts the team slumped to a 4-1 loss to Myanmar a side they had dismantled with ease less than 100 days earlier. A 7-3 win in extra time over Chinese Taipei papered over the cracks but it was too late for Jamal Mahmoud. Facing stiff opposition from many in the PFA he resigned his post. Mahmoud chose to keep his reputation intact instead of taking the fall for the PFA's administrative ineptitude. Rumors of a salary that went unpaid for months certainly didn't help. Three years ago, the PFA went to the WBPL in search of a competent, affordable manager to lead the side. One would have thought they would do the same thing. Instead, the PFA went for the cheap option- after realizing that Saeb Jendeya didn't have the requisite badges- they hired an administrator who was already on the pay roll. Ahmed El Hassan admitted to Football Palestine that he had no contract with the PFA. So just to highlight this, the PFA went with a bargain basement option ahead of the most important, high profile matches in Palestine's history. El Hassan took over officially after the team powered past India and Pakistan with their talent in October under Saeb Jendeya. The PFA's administrative blunders were on full display in the lead up. Two friendlies (against Morocco and Pakistan were canceled at the last minute. Instead of traveling from India to Pakistan directly the team flew in the opposite direction (to Dubai) to catch a flight to Lahore. Once El Hassan did take the reigns yet another friendly (against Thailand) was canceled because the PFA insisted it be played in Vietnam. On the pitch, Palestine were grinding out results without the style they had came to be known for. A 2-0 loss to Saudi Arabia was followed up with a 3-1 win to Vietnam. Palestine met for a pre-Asian Cup training camp in Dubai in December. The team fell 1-0 to Uzbekistan before flying out to China. That game, was a fore bearer of things to come under Ahmed El Hassan who seemed to think of the result as a step forward (Palestine had two entries into the box and no shots on goal). An additional friendly, against Iran, was canceled at the last minute. Instead of flying to Australia after the China game, the team inexplicably flew in the opposite direction and went back to Palestine for a week before traveling to Sydney via Dubai. Things would really take a turn for the worse with the announcement of the final squad. Key members of Palestine's Challenge Cup squad were left out of the side for reasons that ranged from petty to ridiculous. Omar Jarun fresh off completing a long NASL season bowed out of the November friendlies and Hilal Musa didn't show up to a training camp because of a broken hand, no mercy was shown both were given the axe. At least they had been given reasons Khaled Mahdi had to suffer the indignity of seeing the uncapped Tamer Salah selected ahead of him. Palestine also didn't seem to care about solving their striker problem. Matias Jadue had to be committed because somebody in the PFA messed up the paperwork in regards to his nationality switch. Highly touted WBPL-based and Gaza based strikers must have been besides themselves to see Khaled Salem included. The Hilal Al-Quds player had been playing as a centre back for the better part of two years. Breakdowns in communication also led to Javier Cohene and Daniel Kabir Mustafá being left out of the squad. Both players quickly claimed to be injured to save face but that clearly wasn't the case with Kabir who played 90 minutes for Atlético Venezuela the day before the Japan game. Things would go from bad to worse with Haitham Dheeb unable to continue his Ferris Beuler scheme of calling in sick to his full time job. Although never fully fit, Alexis was called into the squad. Both players would never come close to playing in Australia. The PFA could have made changes to the squad up to six hours before the Japan match. They proceeded to call up Sameh Mara'ba who had been locked up in an Israeli jail without charge for eight months. Alas, Mara'ba's travel ban prevented him from making the trip. When quizzed by Football Palestine about the shorthanded squad, Ahmed El Hassan simply stated "I'm happy with the players I have and I don't see the need for additional players." To recap, Palestine traveled to Australia without an actual manager, a short handed squad bereft of some of Palestine's best players, and canceled five friendlies along the way just for good measure.